Advertising can feel like a complicated guessing game on the beest days. That’s why I stick to this underrated instant ROI tool. Print ads. Banner ads. Facebook ads. Commercials. Billboards. Direct mail. Geotargeting. The options are endless in today’s digital market, making advertising feel like a complicated guessing game. How do you know where to invest for the biggest ROI? Before I launched e360TV, I was asking myself that same question. I felt like I was wasting time, effort and money on strategies that turned out to be more hype than results. And I was tired of it. That’s when I found interactive video advertising. What Is Interactive Video Advertising? Any kind of interactive video content allows you to share and purchase directly from the video you love with clickable, linked product placement, campaigns and ads. It’s like blending the engagement of video with the purchasing power of the web. Interactive video ads can be used many different ways, including: sponsored content, in-stream video ads, linked product placement, direct sharing, direct purchasing and more. 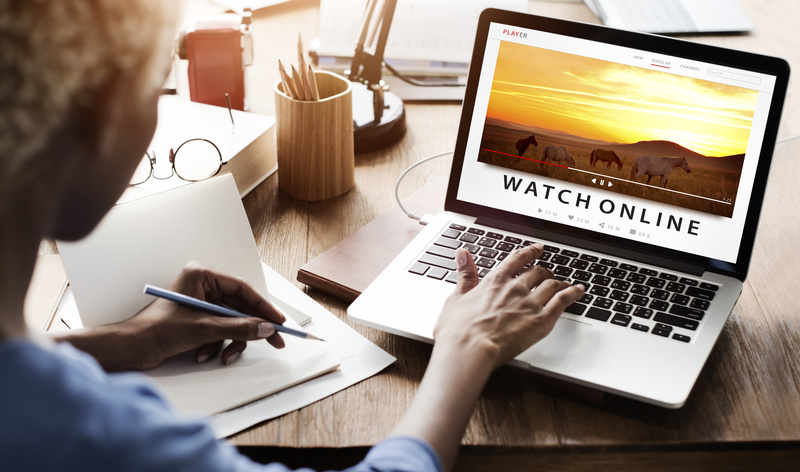 Imagine you’re sponsoring a popular web show, and during your video spot, viewers can click on a promotion while they’re watching. That’s the conversion power of interactive video ads. At e360TV, interactive video ads are a powerful way for us to drive engagement, get to know our audience, increase conversions, and grow our audience. It’s a great tool because it serves so many different marketing purposes — all in one tool. By using interactive video ads, we tap into more than 200 data points that allow us to learn who is watching and how they’re watching. We can monitor for trends, and deep dive into specific metrics. And all the while, we’re learning more and more about who we’re serving. Having a deep knowledge of your viewers creates a profound ripple effect in your audience growth, helping you reach the masses all the more quickly. Interactive programming boosts viewer engagement by 591%. I know, it’s shockingly good. Interactive video ads are still relatively new enough to people that they hold novelty. They pique people’s curiosity, which is a hard thing to do in our noisy digital world. In this day and age, capturing someone’s attention is the biggest challenge. After that, you have a shot to share your message, a chance to connect, as your viewers take initiative in their relationship with your brand. That interaction instantly increases their engagement. Studies conclude that interactive video ads have a higher ROI than any other form of advertising, including print and display ads. Because you can engage the ad without interrupting your programming, interactive ads are optimized for the best brand recall and the highest conversion rates. Studies also show videos placed before a video begins have 100% more completion. If you want people to remember, engage with and watch your ad through to the end, then interactive video ads will give you the best shot at the results you’re looking for. Perhaps the most valuable perk of a interactive video ad is its ability to increase your reach and grow your audience quickly. Audience is currency these days, and interactive ads build audiences fast. In an interactive ad, for example, you might get 500+ placements, while in print you get 1 and online you may get 200-300 placements. More placements = more opportunities to attract fresh eyes. Plus video ads give you the added bonus of OTT distribution, which allows you to enter homes through multiple platforms (i.e. Roku, Amazon Fire, Apple TV, Netflix, etc.). Have you used interactive ads in your marketing campaign?